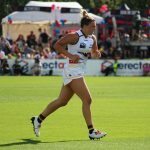 THE GIANTS had a consistent season in 2018, going from finishing eighth in the AFLW’s first season to fourth last year. The side will again be led by Amanda Farrugia in 2019 as she sets her sights on being the longest serving AFLW captain. The new recruits will also be looking to make a big impact in the new conference system. Last season: 4th – three wins, three losses. 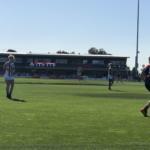 The GIANTS lost three of their most experienced players in Maddy Boyd, Phoebe McWiliams and Renee Forth over the off-season, which left a gap in key positions on the field for the GIANTS. But to fill the hole in the ruck, Greater Western Sydney (GWS) picked up Ingrid Nielsen, who is a premiership played with the UNSW-ES Bulldogs in the AFL Sydney competition. To cover the X-factor of McWilliams, the GIANTS picked up Christina Bernardi, who is almost a straight swap for McWilliams, as both players possess smarts inside 50 as well as accurate kicks. Renee Forth has been a harder one to replace for the GIANTS, as her versatility was pivotal for them during the last two seasons. Given she can rotate through the midfield and the forward line, Alyce Parker is probably the closest player in terms of position to Forth, as she can play a role in the forward line if her team is on the back foot. 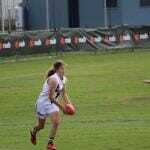 The Thurgoona midfielder is as exciting as it gets, with a booming kick and a set of football smarts that are second to none, meaning she is a very important pick-up for the GIANTS. 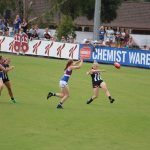 The GIANTS have incredible midfield depth heading into 2019, with the usual stars in Alicia Eva, Courtney Gum, Jessica Dal Pos and Rebecca Beeson being joined by the likes of Alyce Parker, Brittany Perry, Haneen Zreika and Phoebe Monahan. 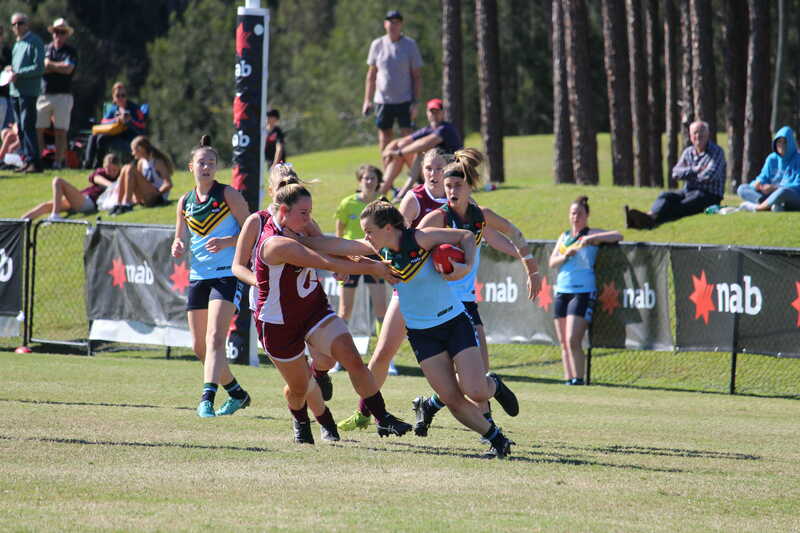 Parker had a standout Under-18 year last year, being named captain of the All-Australian team and the Most Valuable Player (MVP) for both New South Wales and the Eastern Allies in the AFL Women’s Under 18 Championships on the Gold Coast. Monahan had a similar influence for Richmond in the Victorian Football League (VFL) Women’s season, being among the highest disposal-getters each week for the Tigers. Zreika is likely to add that X-factor that the midfield needs, as she has speed to burn and is a tenacious midfielder that should excite all GWS fans. She was on the GIANTS’ rookie list last season but has now been moved into the primary list for 2019. There’s not too much to worry about here for the GIANTS, as they have skilful defenders that can all play a role on dangerous forwards. With new recruits coming in, Alan McConnell will have to decide who fits where, as he has an extensive list of defenders on his hands. Renee Tomkins is likely to take the opposition’s leading forward, with Pepa Randall and Tanya Hetherington there to assist with other forward targets. Amanda Farrugia, Ellie Brush and Elle Bennetts will play as a running defenders. The problem comes into the equation if one of these players has to sit out a game, as the depth doesn’t expand much further than that in the GIANTS’ defensive 50. 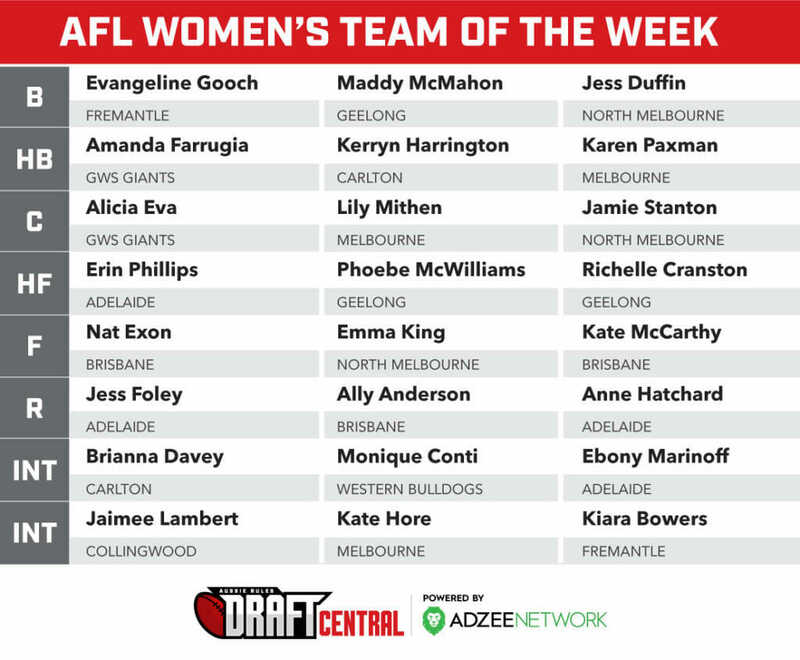 Zreika was on the rookie list last season for the GIANTS and did not get to make her AFLW debut, but she will be a good chance to do so in 2019. She has exciting breakaway speed that is vital in a clogged midfield. Zreika is also a player that can break the lines and tackle aggressively, making her a complete player in the midfield. She played for Auburn-Penrith in the AFL Sydney competition during the off-season, being named in the best nine times from 12 games. Monahan was one of Richmond’s leading players in the VFLW season, finishing equal third in the Tigers’ Best and Fairest count. She is a ball magnet and uses it well both by hand and by foot. Monahan played 11 games for the Tigers and was named in the best five times. She averaged 20 disposals per game last season and stood out amongst a struggling Richmond side. Alyce Parker is one of the most talented players out of last year’s Under-18 crop. 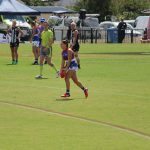 Just last year, she was named the All-Australian captain, the MVP for the Central Allies and New South Wales, played in a premiership for the Thurgoona Bulldogs and was named the best on ground in their victory. She’s received all these accolades because she is a smart midfielder who has a long clearing kick, giving her an advantage in the clearances. She tackles hard and has good hands as well, making her an all-round talent. Parker matched it with the bigger bodies when playing for Thurgoona, so she should fit right in to the AFLW. This may be the GIANTS’ year, as they boast a strong list with plenty of depth. They are also in the easier conference, and with Brisbane losing a lot of talent over the off-season, GWS should be favourites heading in. Geelong may also be another team to contend with, but the GIANTS’ experience from the first two seasons should hold them in good stead. 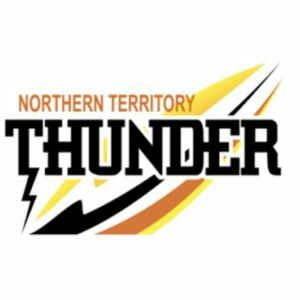 They have a couple of big tests in the first two rounds of the season, taking on Brisbane and North Melbourne. However, if they are to drop any of those games, they have an opportunity to bounce back against the Pies and Blues. If the GIANTS’ list can stay healthy, they will definitely be a side to watch in 2019.